With Christmas just around the corner, now is the perfect time to get into the Christmas spirit, especially with our competition! 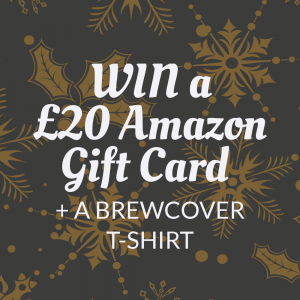 You have the chance to win a £20 Amazon gift card and a Brewcover t-shirt this Christmas, with a runner-up prize available too! The deadline for the competition is Monday 17th December, in which the winners will be announced on Tuesday 18th December. Remember to follow all of our social media accounts to keep updated with any competition updates, as well as any other relevant news over the busy Christmas period. This competition is 18+ only and is open to Great Britain residents only. Entries from residents of the Channel Islands, Isle of Man and Northern Ireland will not be valid. To enter on Facebook: Follow our page, like and share the competition post. To enter on Twitter: Follow @Brewcover, like and retweet the competition post. To enter on Instagram: Follow @Brewcover, like the post and tag two friends in the comment section. To enter on LinkedIn: Follow our page, like and share the competition post. 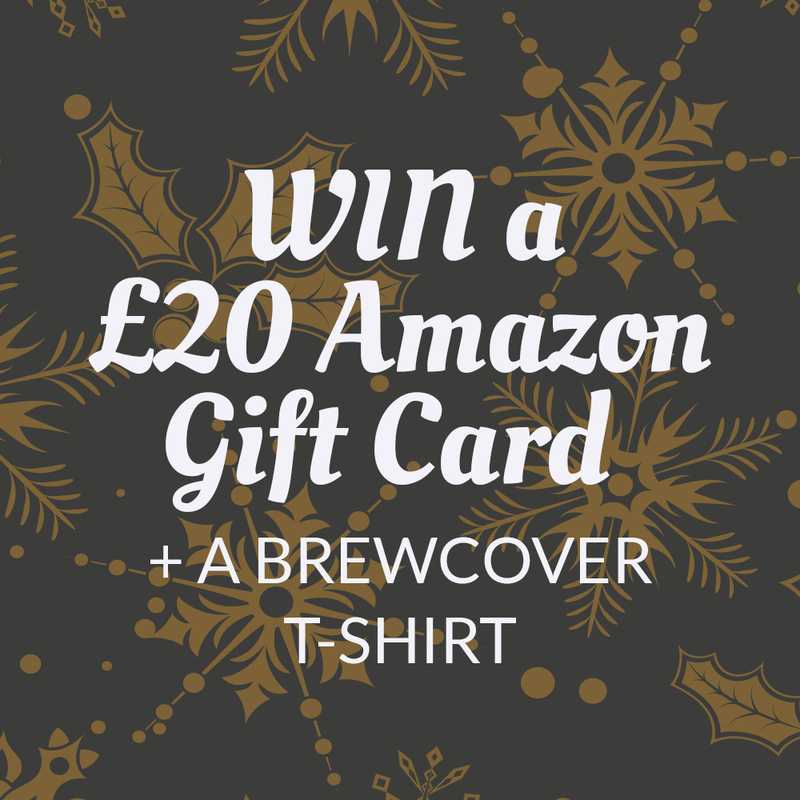 1st Place Prize: A £20 Amazon Gift Card and a Brewcover t-shirt (available in medium, large or extra large). 2nd Place Prize: A Brewcover t-shirt (available in medium, large or extra large). 1. Winner Selection: All valid entries received by the Promoter during the promotion period will be submitted into the competition. The winners will be chosen by a Brewcover representative. 2. Winner Notification: The winning entry will be notified via the platform they used to enter. They will be notified within 7 days of the end of the competition, and have a further 7 days from the date of notification to respond to the initial notification confirming they wish to claim the prize. Failure to comply with this time frame may result in disqualification of that winner and the prize being awarded to another winner selected by the criteria above. 3. The Promoter cannot accept any responsibility if the winner’s notification message is not received due to a fault in the messaging platform e.g. for the notification message sent straight to the winner’s junk mail folder. 4. No correspondence will be entered into. 5. The Promoter will only use the personal details supplied for the administration of the promotion and for no other purpose, unless we have your consent. 6. The winner’s name and location may be used on Brewcovers’s Facebook and Twitter accounts and/or website posts or in print to promote the competition. 7. Bulk entries made from trade, consumer groups or third parties will not be accepted. If it becomes apparent that a participant is using a computer(s) to circumvent this condition by, for example, the use of ‘script’ or ‘brute force’, masking their identity by manipulating IP addresses, using identities other than their own or any other automated means in order to increase that participant’s entries into the draw in a way that is not consistent with the spirit of the promotion, that person’s entries will be disqualified. 8. Winner may have the option to participate in publicity arising from the promotion. 9. The Promoter will not be liable to any participant for any loss or damage, whether in contract, tort (including negligence), breach of statutory duty, or otherwise, even if foreseeable, arising under or in connection with their entering this promotion or as a result of their accepting any prize as a result of this promotion. Nothing in these terms of and conditions excludes or limits the Promoter’s liability for death or personal injury arising from its negligence, or its fraud or fraudulent misrepresentation, or any other liability that cannot be excluded or limited by English law. 10. If an act, omission, event or circumstance occurs which is beyond reasonable control of the Promoter and which prevents the Promoter from complying with these terms and conditions the Promoter will not be liable for any failure to perform or delay in performing its obligation. 11. By taking part in this promotion all entrants will be deemed to have accepted and be bound by these terms and conditions. 12. These terms and conditions are governed in accordance with the laws of England and Wales. The courts of England and Wales will have non-exclusive jurisdiction unless the participant is resident in Scotland in which case they may also bring proceedings in Scotland. 13. This promotion is in no way sponsored, endorsed or administered by, or associated with Facebook or Twitter.